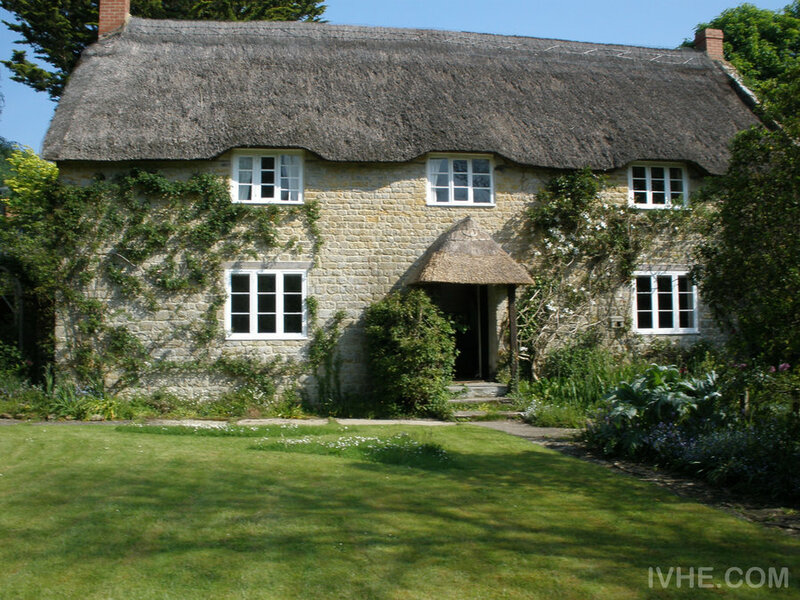 Grade II listed thatched house with lovely south facing gardens in a pretty Historic Dorset village. 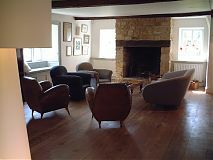 Large sunny contemporary styled living room with open fire place, elm wood floor giving to the garden. 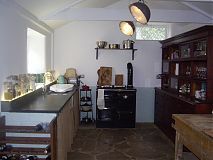 Large kitchen-diner with flag-stone floor, ancient fire place, oil-fuelled Rayburn, butcher's block and refectory table to seat up to 10 people. 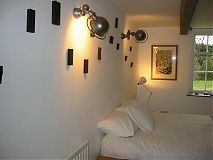 Downstairs bedroom, easy access for those with limited mobility, small bathroom across the corridor. 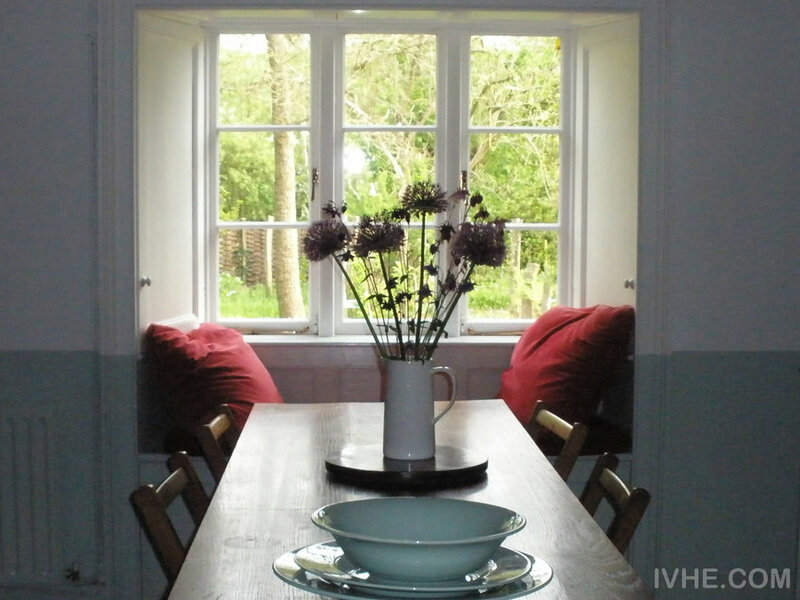 Upstairs: 3 double bedrooms all of a good size with window-seats overlooking the garden and the distant countryside. 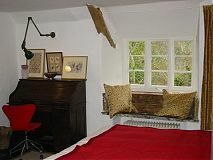 Two bedrooms have ancient elm panelled walls. 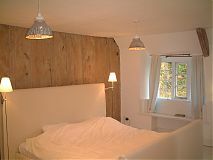 There is one bathroom with free-standing cast-iron bath from which you can view the outside countryside and a shower room with power shower and a small sink. 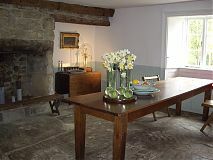 Outside is a beautiful enclosed large English country garden with eating areas and a fire pit. The garden as a central lawn, mature trees, a vegetable garden, a herb garden, fruit trees and lovely planted borders with native perennials and shrubs. 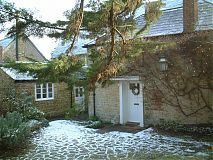 The property is located in a lovely village in the rolling Dorset countryside and it is only 4 miles from the Jurassic coast, one of the world's heritage sites. The beach at Burton Bradstock 4 miles away has a celebrated cafe / restaurant and and is one of the most stunning beaches in Britain. There are beautiful walks from the house and the village has a good local pub with good food. The market town of Bridport is 2 miles away, with two weekly markets (Wed and Sat), and monthly famer's and antique markets. Bridport is also a fishing port, for many years the main producer of ropes in the country. It has a thriving arts scene and lots going on. There are several good pubs and restaurants in the area, including the River Cottage Canteen and Food Stores run by Hugh Fearnley-Whittingstall in Axminster and two great seafood restaurants, the Riverside in West Bay and the newly opened Hix Oyster and Fish House in Lyme Regis. There are two notable hill forts around Bridport. Eggardon Hill Fort dates from the Iron Age and is extremely atmospheric and boasts wonderful views of the surrounding countryside. The other hill fort is Pilsdon Pen, also from the Iron Age and one of the highest points in the county at over 900 feet. Rates are seasonal, more credits during English school holidays. No smoking inside, final cleaning charge. Catering companies are available in the area, contact details can be provided on request. There are 2 train stations approximately 15 miles away, one is Dorchester South which connects to London Waterloo, the other is Axminster, which connects to London Paddington. Nearest airport is Exeter, 40 miles away. Bournemouth-Hurn distance approx. 40 Miles; Southampton approx. 62 miles. London Heathrow approx. 110 miles and London Gatwick approx. 115 miles.